Speaker of the National Assembly of Republika Srpska, Nedeljko Cubrilovic, has stated anent marking 17th anniversary of Brcko District establishment, that Brcko is important for Srpska’s political and territorial continuity. 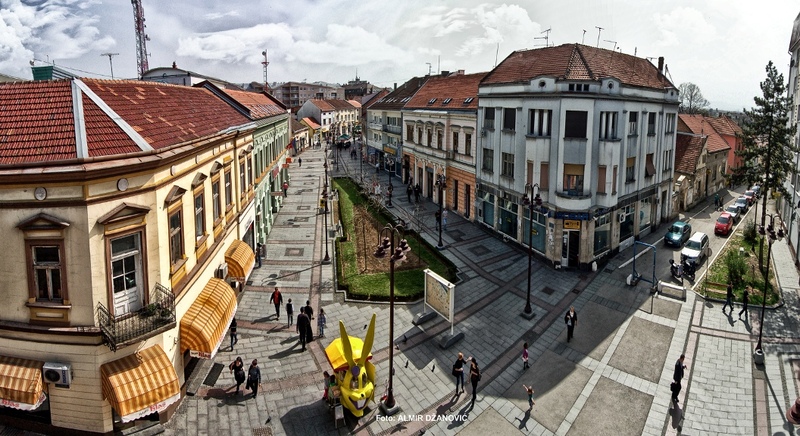 “It is nice to hear that people in the district recognise this day as their own, that the residents of Brcko District cooperate among themselves, not political parties,” Cubrilovic told reporters after a ceremonial academy in the Cultural Centre Brcko. Mayor of Brcko Sinisa Milic pointed out that most of the credit for the construction of a multi-ethnic community belongs to Brcko District residents. “The Government of Republika Srpska should upgrade political and economic stability through its activities. The District has stimulative legal and political status, precious natural resources, and is very well connected with its surrounding,” says Milic. He has added that there are certain topics on which there is no agreement in the district, but it is necessary that the politicians ‘turn’ towards those issues which the future of Brcko depends on. Deputy Mayor of Brcko Anto Domic has stated that the local community is not ideal and that more should be done to help district’s institutions to become more efficient. “Brcko has not yet reached the economic level that we want, which would enable all residents to achieve their desires and intents. It is necessary to create new jobs in order to face with the young people leaving the country and increase the purchasing power of residents,” said Domic. Chairman of the Brcko District Assembly Esad Kadric says that this community has stable institutions and developed interethnic relations, but that the government has not “passed the test” when it comes to the development of trade and economy. “The primary task of the district authorities is the development of district economy, because its residents are leaving the country more than residents of any other town in BiH. It should have ignored the politics and commit to solving everyday problems,” said Kadric. Head of the EU Delegation to BiH, Lars-Gunnar Wigemark, has said that Brcko District is an example of a multiethnic community and cooperation between political parties, but it is not enough for the citizens. “Citizens want real progress, better health and education systems, and safety in general. Today’s messages about the desire for further economic and other developments that I heard from the Brcko mayor have encouraged me,” said Wigemark. A solemn academy on the occasion of 17 years since the establishment of Brcko District was held today. Academy was attended by government representatives of Brcko District, Republika Srpska, FBiH and other officials. The academy held in the Brcko Cultural Centre, where a cultural programme was performed, was attended by High Representative to BiH Valentin Inzko.